We are very pleased about our purchase of Dali and Me (2006) by Llyn Foulkes, which was featured in the recent exhibition Nine Lives: Visionary Artists from L.A.. Foulkes (b. 1934) has been a major figure in the Los Angeles art scene since his first solo exhibition in 1961 at the Ferus Gallery and a solo show at the Pasadena Art Museum in 1962. Since then he has been influential to several generations of artists working in L.A.. 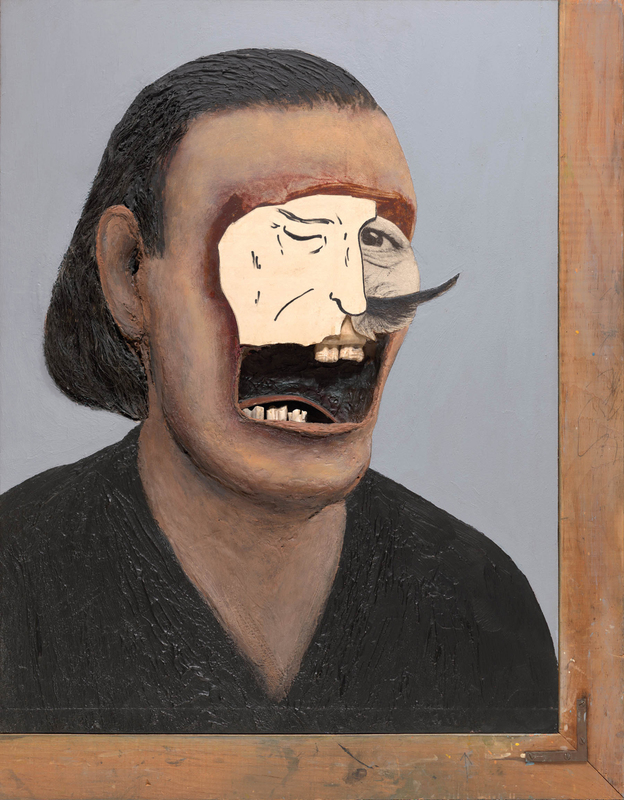 This painting demonstrates his affinity for taking found objects such as upholstery, hair, teeth, and fragments of real clothing, and working them into the painted surface. The work incorporates a self portrait, as most of his pieces do, and merges his image with that of one of his heroes, Salvador Dalí. The Hammer Museum is deeply grateful to the following individuals, foundations, and corporations for their gifts/promised gifts/pending gifts of art as well as acquisition funds since January 1, 2009, for the Hammer Contemporary Collection and the Grunwald Center for the Graphic Arts.